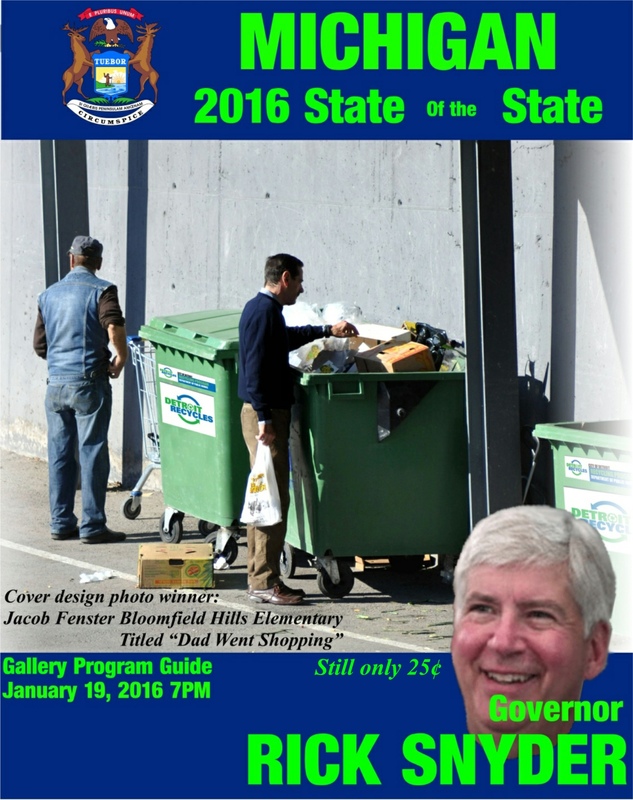 I would stop short of claiming the governor is personally responsible for the cluster foxtrot in Flint. In fact, it reeks more of failed liberal irresponsibility that has destroyed once great cities many times prior. Corruption, waste, fraud, and a failure to reward competence breeds such tragedy. Moore, Jackson, Hilldog, and all the others using it to advance their political goals need to consider that those same goals metastasize all too easily into the next Flint or Detroit, or .. But Snyder’s desk is the buck stopping place. ← Two More Conservative Events! "..I would stop short of claiming the governor is personally responsible for the cluster foxtrot in Flint..."
I would argue that he is the only one responsible for jump-starting any meaningful investigation in to what happened before Watergate-style break-ins occurred at Flint city hall or FAR before his communication guru was told to jump the sinking ship for obvious reasons..when?. This isn't about what happened now or who 'made' it happen (that's obvious)...it's all about who covered up for who...what political price they will pay for doing so in '16...and why Republican legislators weren't briefing their constituents on the matter FAR before the AG began his investigation but 5 days ago. ..the above is why I have a problem with the precinct delegate strategy in terms of what does one say now? "Yeah, we're trying to take back the Republican Party here in Michigan...because not ONE of those RINOs simply attempting to keep their enemies closer over all these years...was EVER involved in trying to keep this all quiet!! In other words...how do you BUILD credibility with those who can literally recite the time line for what just happened...and realize full well that this was NEVER something that the entire party (right down to the local level) wan't WELL aware of...FOR A LONG TIME? We're talking about poisoning kids here for heaven's sakes...how does a party come back from that...and who would WANT to save it?